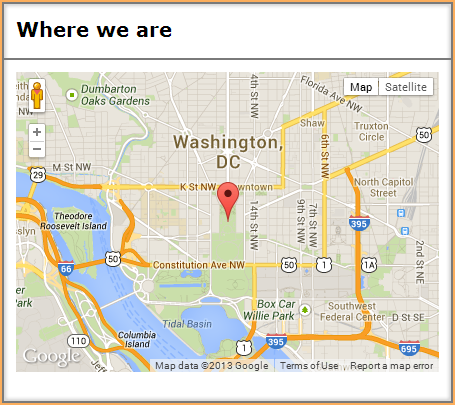 You can embed an interactive Google map into a page or page template on your Wild Apricot site. You could, for example, indicate the location of your organization on your Contact Us page. 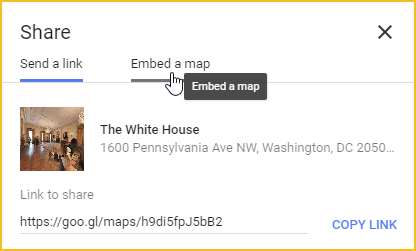 To embed a Google map, you need to obtain the embed code from Google, then paste it into a custom HTML gadget, or into a content gadget using the Snippet feature. Did you know there's a Wild Apricot gadget that lets you make a map of your members? Click here to find out more about the members location mapping gadget. Display the map or Street View image you'd like to embed. Click the menu icon in the top left corner. 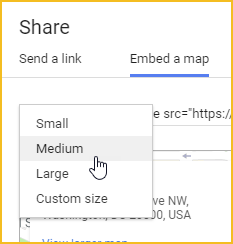 Click the Share or embed map option. Click the Embed map tab. Choose the size you want the map to be. 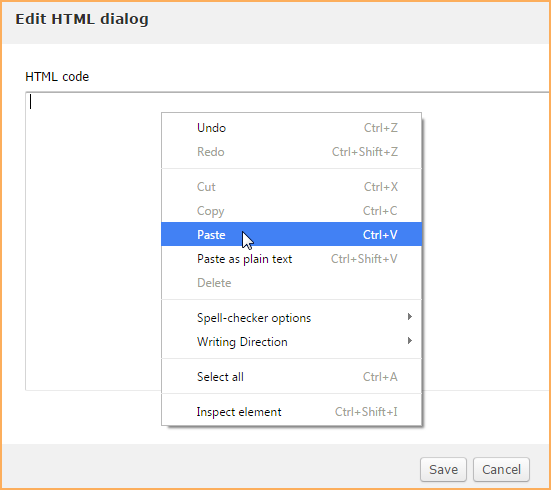 Click the Copy HTML option to copy the embed code to the clipboard. Log in to your Wild Apricot site as an administrator. Go to Site pages (under the Website menu) and begin editing the site page or page template where you want the map to appear. Drag the custom HTML gadget from the Gadget list, and drop it in the desired location. After you have inserted the gadget, hover over it and click the Settings icon. Within the gadget settings on the left, click the Edit code button. In the dialog that appears, paste the embed code then click the Save button. Your map should now appear on your page or page template.